"Web View for Messenger™" is a Chrome application / Firefox add-on to ease your messenger.com access. In Chrome, messneger.com is loaded in a sandboxed window with its own session manager (no interaction with browser). In Firefox version, the messenger.com is loaded inside a toolbar panel for easy access without the need to switch tabs. Please note that this is not an official application; the sole purpose of this application is to make your messenger.com access a bit simpler and there is no intention on misleading users that this is the official application. What is the "Web View for Messenger™" add-on and how can I use it? 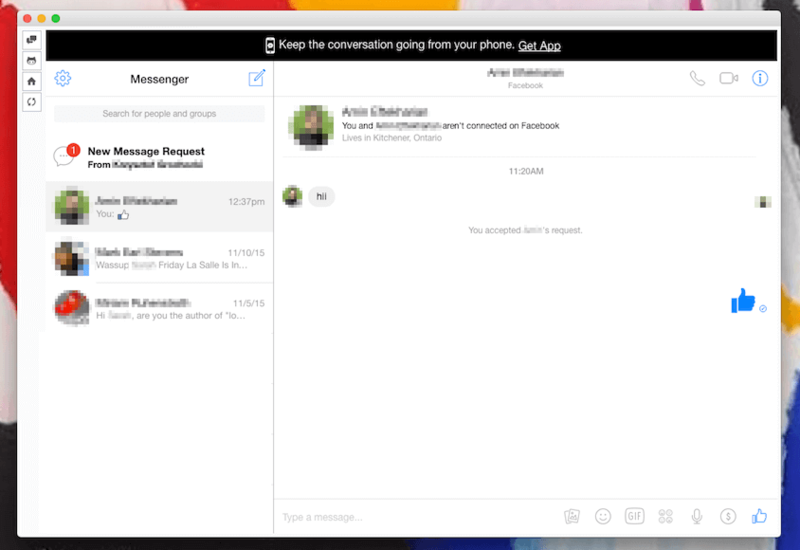 "Web View for Messenger™" is a multi-platform client for messenger.com. In Chrome version, messenger.com is loaded in an isolated window which has no interaction with your browser at all. This means you need to login once again even if you are already logged-in in your browser. In Firefox version though, messenger.com is loaded inside a panel view. This helps to access your chats without switching tabs to prevent distraction in your work flow. Please note that this application only provides an easier way to access messenger.com. The interface of messenger.com is designed and maintained by Facebook. For using this application please make sure you have read and agreed with Facebook Terms and Policies. The badge notification displays the number of unread conversations you have. For instance if you have two conversations with 10 unread posts, you will see 2 in the badge notification. In Firefox badge notification is displayed in the toolbar area. However, in Chrome version badge is located on the chat icon in the left panel. You can open messenger.com web, FAQs page or the bug reporter directly from the panel. Also you can refresh the panel. If you need a new feature post a bug report and I'll try to add this it in the next release.